We had hot weather which was unusual, so we were due for a more normal cold, rainy, windy day. That day was today. 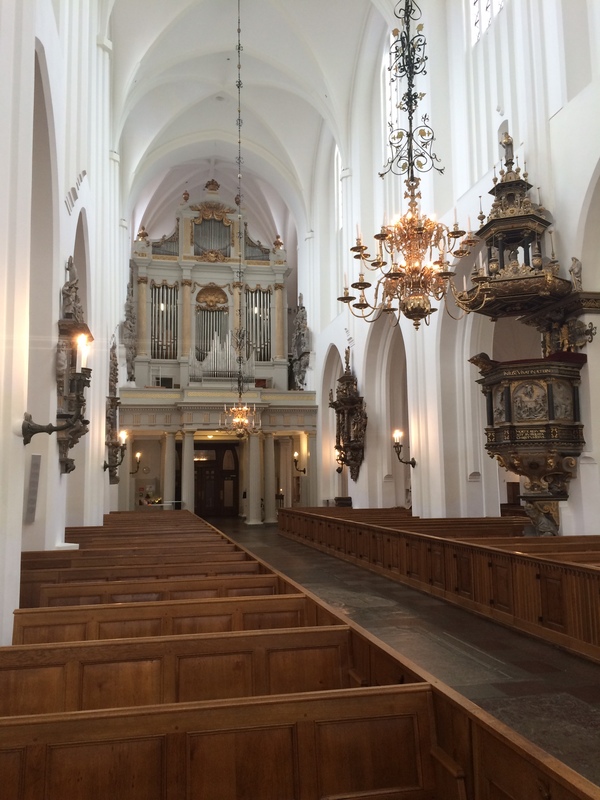 We left Aarhus around 8am and drove to Malmo, Sweden. Malmo is near Copenhagen, just a (16km long) Oresund Bridge ride from near the Copenhagen Airport. Anyone care to guess how expensive for a one-way crossing? (no Googling it first!). We were looking for something different to do to spend the day. But perhaps a bit of the reason for going to Malmo, Sweden was that Ellen wanted to hit the Thomas Sabo store there and pick up a charm or two. So that’s the address we put into Waze. As an aside, SHOUT OUT TO WAZE for keeping the GPS directions going in Sweden after we strayed from our Denmark data connection. We found the store quickly, were helped by a very nice Sabo employee and Ellen was successful in getting a few new charms and a ring. Since we were there, we decided to explore. It was pouring rain, 50°F, with 25-40mph winds, but we were determined. We found the town square, city hall and Saint Peter’s Church. 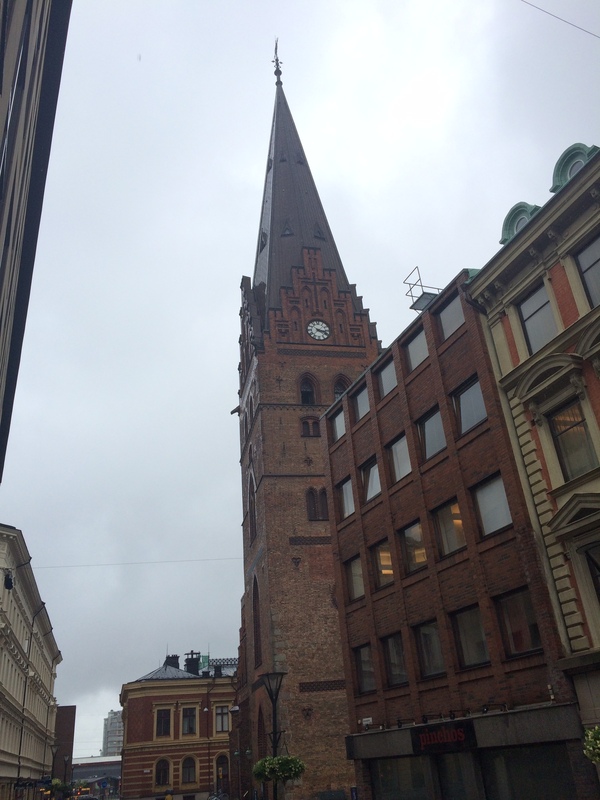 We liked Malmo a lot, except for the weather. He hadn’t made it that far south when we were in Sweden 2 years ago. We walked until we were so cold and wet that we couldn’t anymore. 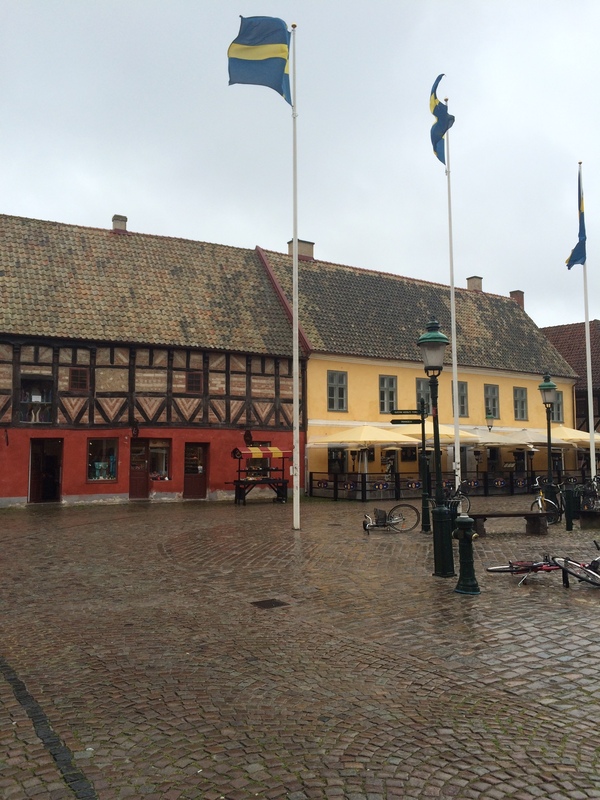 Stopped for coffee/tea and then came back to Denmark. We are staying at the Hilton at the airport, so we checked in, returned the car and then went back to the hotel. 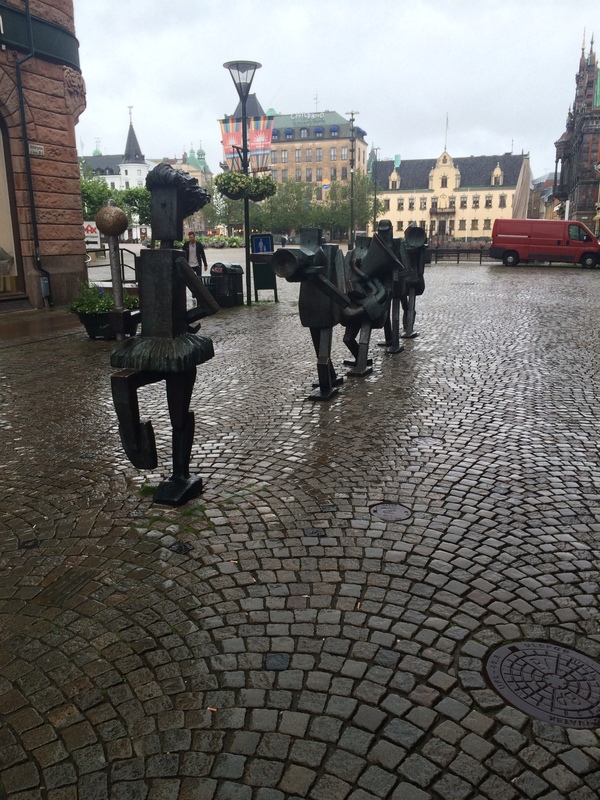 We had thought about going into Copenhagen for our last dinner, but decided to dry off instead. So we had dinner at the hotel and relaxed a little, before our flight to Iceland early tomorrow morning. 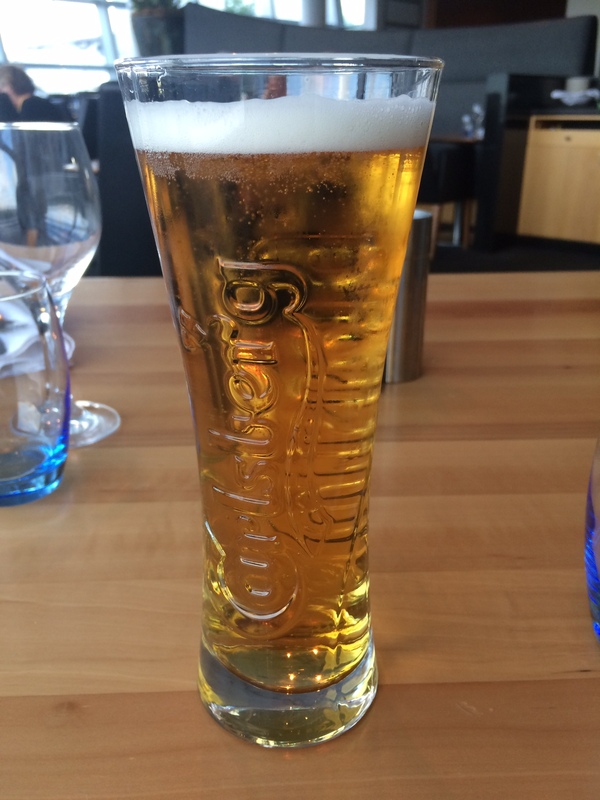 There was time for one last Carlsberg, however. 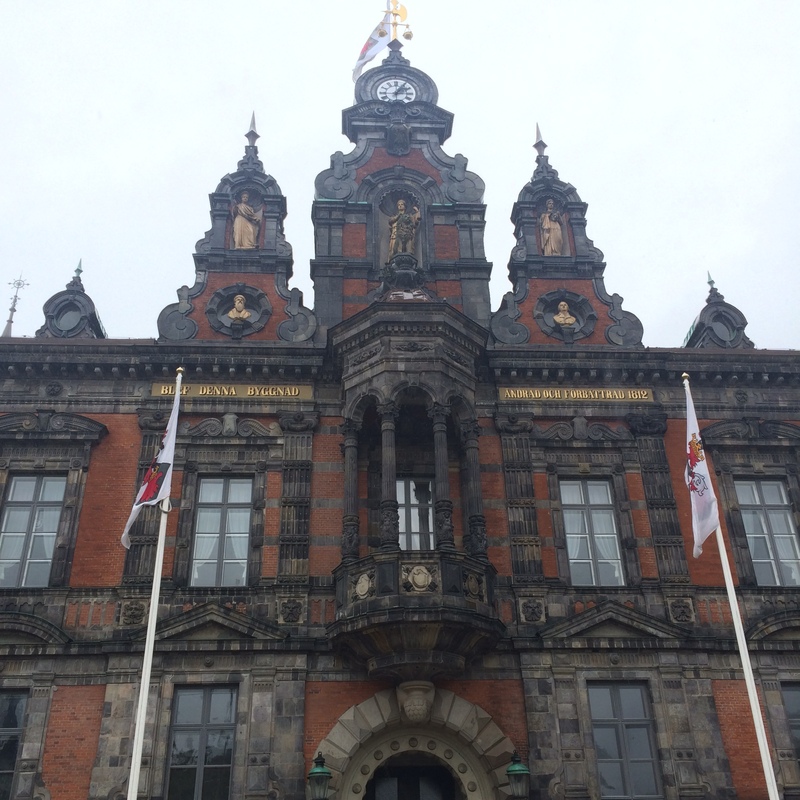 This entry was posted on Thursday, July 9th, 2015 at 4:57 pm	and tagged with Aarhus, Denmark, Malmo, Sweden, Vacation and posted in Denmark, Sweden, Vacation. You can follow any responses to this entry through the RSS 2.0 feed.